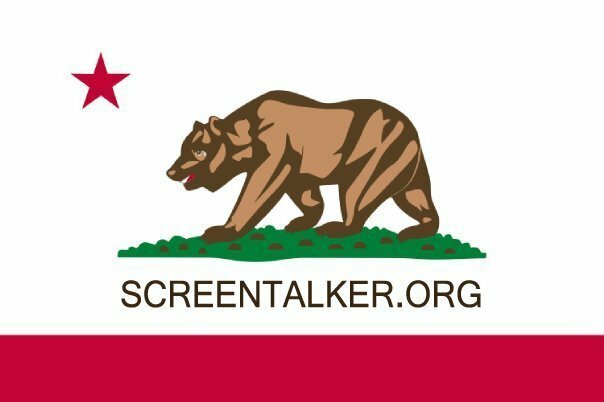 #ScreenTalker: WTF Moment Of The Day | "South California"
WTF Moment Of The Day | "South California"
(AP) -- Elected officials in Riverside County endorsed a proposal Tuesday to discuss cleaving California in two, but with a catch: No public funds can be spent on the budding secessionist movement. Staffers for Jeff Stone, the Riverside County supervisor who dreamed up the idea for what he's calling South California, said proponents will turn to private donors - and possibly sympathetic city councils with cash to spare - to sponsor work toward the scheme. "After the meeting, we were flooded with people wanting to volunteer and help," Stone's chief of staff Verne Lauritzen said. But the lack of financial support from the county is bound to make what was already a longshot proposal even less likely to gain traction. "It's not clear how this would work out in practice," said University of California, Riverside political science professor Shaun Bowler. Stone's largely agricultural district of desert plains and boulder-studded hills saw rapid population growth during the last decade's housing boom, and he wants 13 mostly conservative California counties to break away to create a 51st state. The Republican supervisor's formal motion, which Riverside County's board passed 4-0 with one absence after adding the no-public-funds caveat, calls for officials from the 13 counties to come together and discuss the idea. Stone has called California too big to govern and chastised state lawmakers in Sacramento for raiding local government coffers to support what he characterized as runaway spending. "I have come to the conclusion ... that the political priorities of Southern California and Northern California are completely different," Stone wrote in his motion. Stone's version of South California would encompass coastal Orange and San Diego counties, and more sparsely populated, inland areas such as Fresno, Imperial, Inyo, Kern, Kings, Madera, Mariposa, Mono, Riverside, San Bernardino and Tulare counties. It would have a part-time Legislature and no term limits. But even if those counties do decide to join under Stone's South California banner, they would face numerous hurdles, such as the U.S. Constitution's requirement that says no new state be formed without the consent of Congress and the state Legislature. Federal lawmakers would be especially unlikely to sign off on a new state because it would dilute their own power by bringing a fresh pair of South California Senators into the mix, said University of Southern California constitutional law professor David B. Cruz. "It would be politically quite challenging to get a majority to agree to that increased representation for the residents of a formerly unified California," he said. Bowler meanwhile, said residents of the new state would likely find themselves worse off because they'd be cut off from tax revenue collected in some densely populated coastal cities, including Los Angeles, where most of California's business occurs. "If you leave out Los Angeles, it means somebody else is going to have to pay for the water projects, the freeways, the universities," he said. "Somebody has to pay for the infrastructure." The new Californian state would also depend on a water conveyance system that is fed by reservoirs and melting snowcaps beyond its borders, Bowler noted. South California students could have to pay out-of-state tuition for UC's most prestigious campuses in Berkeley and Los Angeles. Californians in the remaining counties might want to put toll booths beside their freeways on the new state line so they're not stuck maintaining a road system that South Californians headed to coastal job centers get to use for free. "The infrastructure is built around the idea that California is one state," he said. "Once you unplug it, you're dealing with cross-border issues." Lauritzen acknowledged that it would be an uphill battle to actually secede and did not yet know how proponents would get enough state and federal lawmakers to support the plan, how state resources would be divided up or how the new state would balance its books without some of its biggest tax bases. Those issues would be addressed once counties come together to discuss their interest in forming the separate state, he said. "Do I have the exact answer about what will happen? No," he said. "I don't think anyone does."